Take the train from Aarhus H to Viborg St.
What is the cheapest way to get from Copenhagen to Viborg? The cheapest way to get from Copenhagen to Viborg is to bus which costs 120 kr - 210 kr and takes 4h 35m. What is the fastest way to get from Copenhagen to Viborg? The quickest way to get from Copenhagen to Viborg is to drive which costs 300 kr - 440 kr and takes 3h 30m. Is there a direct bus between Copenhagen and Viborg? Yes, there is a direct bus departing from Copenhagen and arriving at Viborg. Services depart four times a day, and operate every day. The journey takes approximately 4h 35m. Is there a direct train between Copenhagen and Viborg? No, there is no direct train from Copenhagen to Viborg. However, there are services departing from København H and arriving at Viborg St. via Aarhus H. The journey, including transfers, takes approximately 4h 44m. How far is it from Copenhagen to Viborg? The distance between Copenhagen and Viborg is 215 km. The road distance is 323.6 km. How do I travel from Copenhagen to Viborg without a car? The best way to get from Copenhagen to Viborg without a car is to bus which takes 4h 35m and costs 120 kr - 210 kr. How long does it take to get from Copenhagen to Viborg? The bus from Copenhagen to Viborg takes 4h 35m including transfers and departs four times a day. Where do I catch the Copenhagen to Viborg bus from? 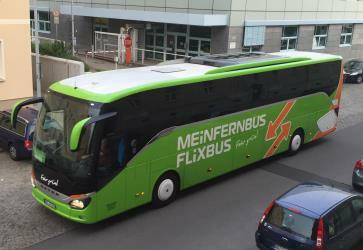 Copenhagen to Viborg bus services, operated by FlixBus, depart from Copenhagen station. Where do I catch the Copenhagen to Viborg train from? Copenhagen to Viborg train services, operated by Danish Railways (DSB), depart from København H station. 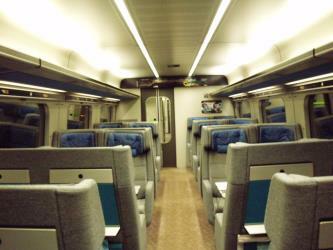 Train or bus from Copenhagen to Viborg? The best way to get from Copenhagen to Viborg is to bus which takes 4h 35m and costs 120 kr - 210 kr. Alternatively, you can train, which costs 360 kr - 550 kr and takes 4h 44m. What companies run services between Copenhagen, Denmark and Viborg, Denmark? 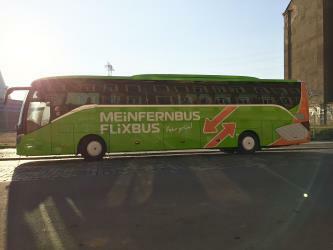 FlixBus operates a bus from Copenhagen to Viborg 4 times a day. 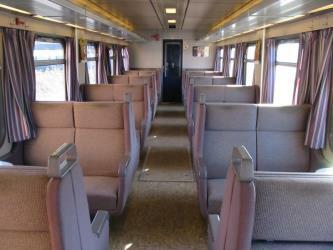 Tickets cost 120 kr - 210 kr and the journey takes 4h 35m. Alternatively, you can take a train from Copenhagen to Viborg via Aarhus H in around 4h 44m. Train from Aarhus H to Viborg St.
How long is the flight from Copenhagen to Viborg? Where does the Copenhagen to Viborg bus arrive? 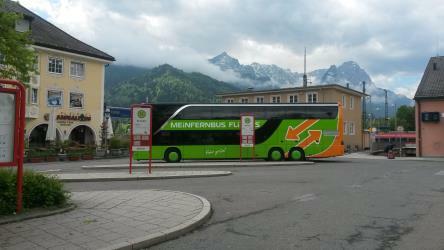 Copenhagen to Viborg bus services, operated by FlixBus, arrive at Viborg station. Where does the Copenhagen to Viborg train arrive? 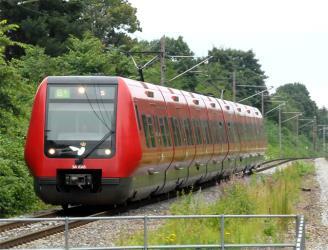 Copenhagen to Viborg train services, operated by Arriva DK, arrive at Viborg St. station. Can I drive from Copenhagen to Viborg? Yes, the driving distance between Copenhagen to Viborg is 324 km. It takes approximately 3h 30m to drive from Copenhagen to Viborg. How do I get a bus ticket from Copenhagen to Viborg? Book your Copenhagen to Viborg bus tickets online with FlixBus. Viborg Cathedral, Our Lady Cathedral (Danish: Viborg Domkirke eller Vor Frue Domkirke) is the site of one of Denmark's most important historic churches located in the town of Viborg in northern Jutland. The modern building is a 19th-century construction based on Lund Cathedral in southern Sweden which bears no resemblance to the medieval cathedral that stood on the site since 1130. The Skovgaard Museum in Viborg, Denmark, situated in the former town hall from 1728 next to Viborg Cathedral, holds a collection of works by four generations of the Skovgaard family of artists. Bruunshaab Gamle Papfabrik (Bruunshaab Old Cardboard Factory) is a former textile and cardboard factory located in the town Bruunshåb, a few kilometers south of Viborg, Denmark. Build as a textile factory by manufacturer Bertel Bruun in 1821, his sons Peter Daniel Bruun and Mads Pagh Bruun took over the factory. The latter brought a further offshoot of the company in the form of the cloth mill Ny Bruunshaab at Aarhus. Hald Manor (Danish: Hald Hovedgård) is located 7 km south-west of Viborg, Denmark. Now owned by the Danish state, it is used as a venue for meetings and conferences. Rome2rio makes travelling from Copenhagen to Viborg easy. Rome2rio is a door-to-door travel information and booking engine, helping you get to and from any location in the world. Find all the transport options for your trip from Copenhagen to Viborg right here. Rome2rio displays up to date schedules, route maps, journey times and estimated fares from relevant transport operators, ensuring you can make an informed decision about which option will suit you best. Rome2rio also offers online bookings for selected operators, making reservations easy and straightforward.